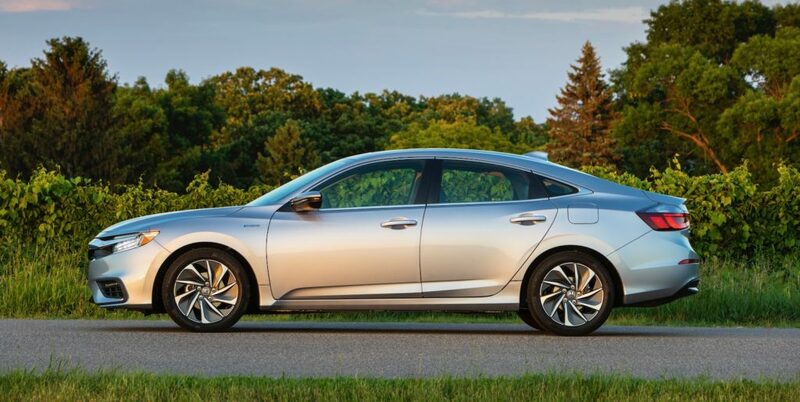 Back in 1999, Honda became the first automaker to offer a hybrid in the US with the arrival of the Insight, but sadly for Honda, its crosstown rival Toyota also introduced the Prius a few months later. Twenty years later we know how the story played out with the Prius quickly becoming becoming the king of all hybrids, while the Insight sat in the corner. Now Honda has introduced the third generation Insight and it’s easily the best one yet, in terms of not only its marketability (it fits five), it’s not ugly like the second generation and now its fuel economy specs easily rival the Prius. To start with the 2019 Insight is now the most mainstream Insight ever. It easily fits five and it doesn’t look weird. 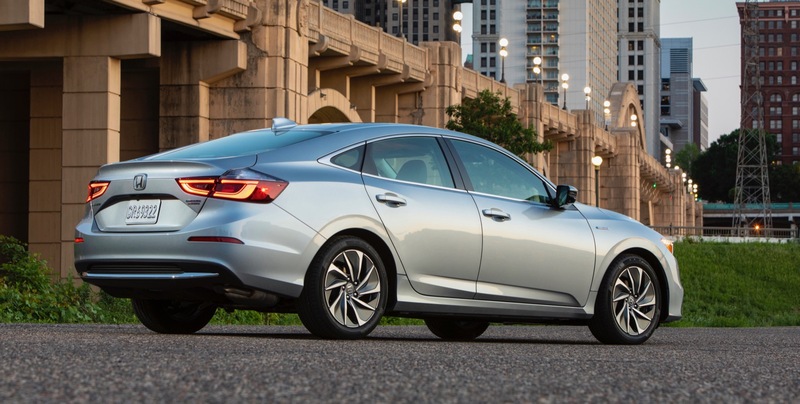 The Insight now shares its platform with the Civic. 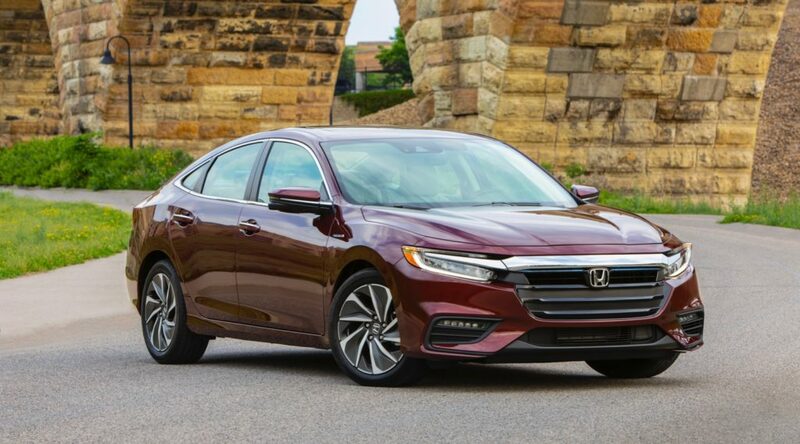 For the first time, the Insight has a traditional sedan body and if you don’t look closely, you wouldn’t be wrong for mistaking it as a Civic. This is a great thing. Hybrids don’t need to look weird. The 2019 Insight now has a sense of style that makes it look more like a grown up Civic or even a mini Accord, which is no mistake since it’s positioned between both sedans. 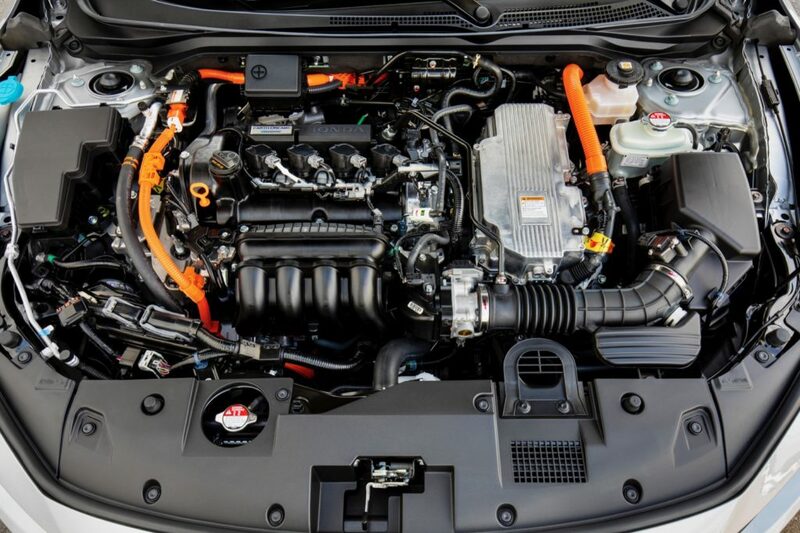 Under the hood the 2019 Insight is powered by a new two-motor hybrid system that mates a 1.5L four-cylinder engine to an electric motor and lithium-ion battery. The powertrain generates a combined 151 horsepower. The good news is that the most efficient version (LX and EX) are rated at 55 mpg in the city and 49 mpg on the highway. 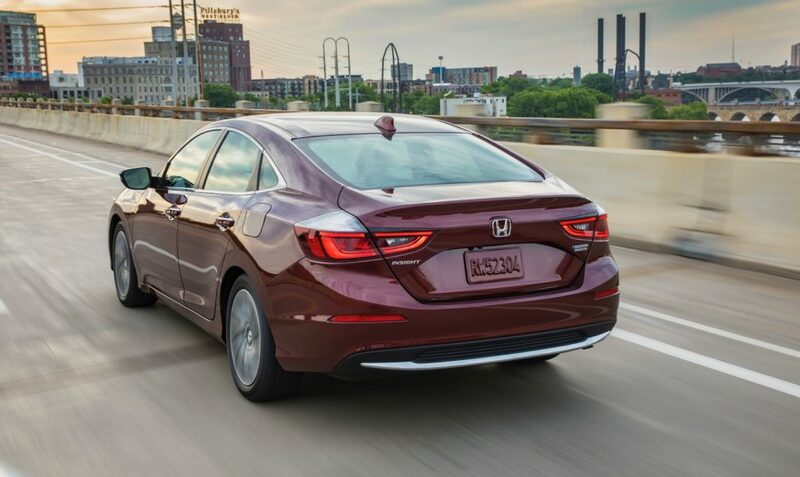 If you step up to the top of the line Insight Touring, it’s rated at 51 mpg in the city and 45 mpg on the highway. Around town the Insight’s hybrid powertrain feels peppy and a lot smoother than some of its rivals. Push it hard though and you might be a bit surprised how loud the engine gets, which is easily one of Insight’s few faults. 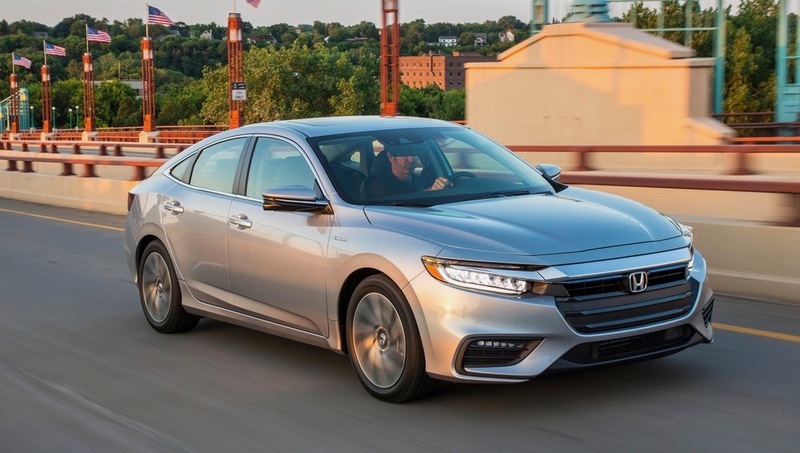 The Insight feels so much more refined and upscale than before, but its loud powertrain is a bit more intrusive than we’d expect. On the road, the Insight’s suspension easily swallows the road’s imperfections and once the road gets a bit twisty the suspension keeps everything planted without being too soft of harsh. 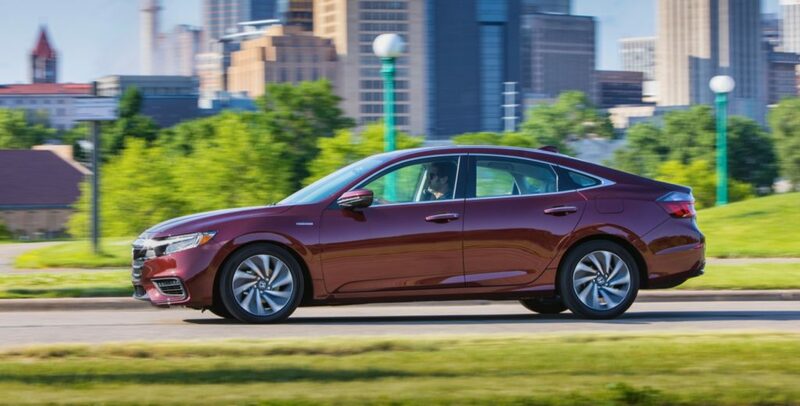 Speaking of a curvy road, the 2019 Insight hugs the road much better than its long time rival, the Prius. 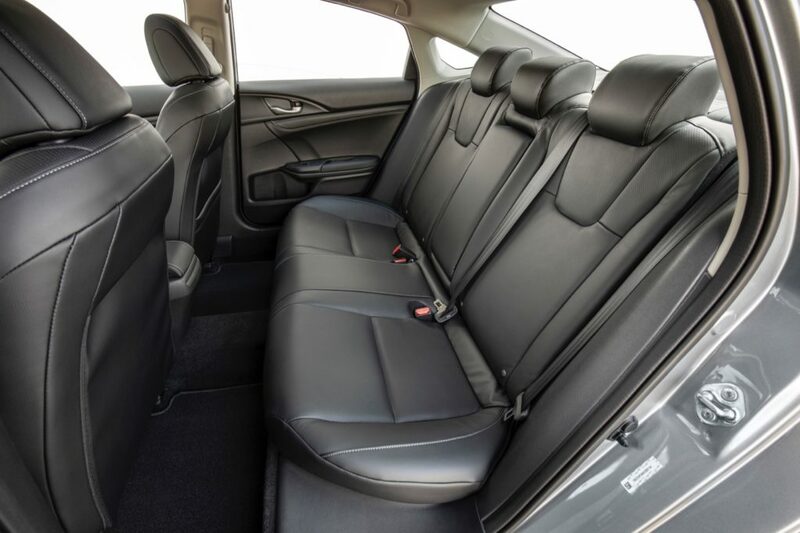 Inside the 2019 Insight’s interior feels and looks leagues above the second generation. The materials feel more upscale and just like the exterior, the interior is more stylish. 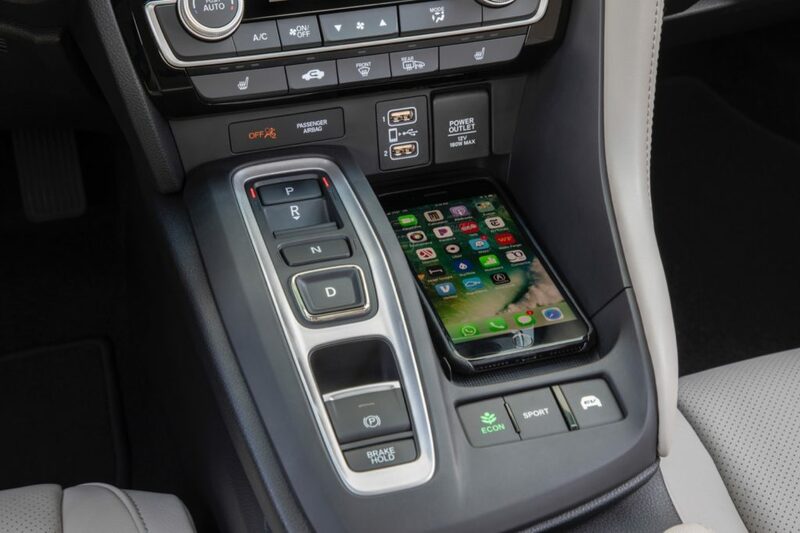 The only weird thing that took a bit for us to get used to is the push-button gear selector. 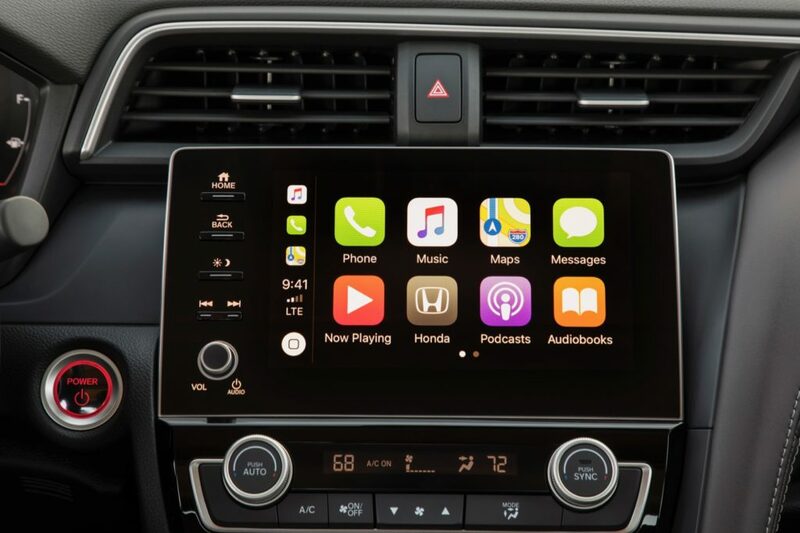 The Insight’s interior does have the latest technology, like Apple CarPlay and Android Auto, in addition to safety tech like adaptive cruise control and emergency braking. 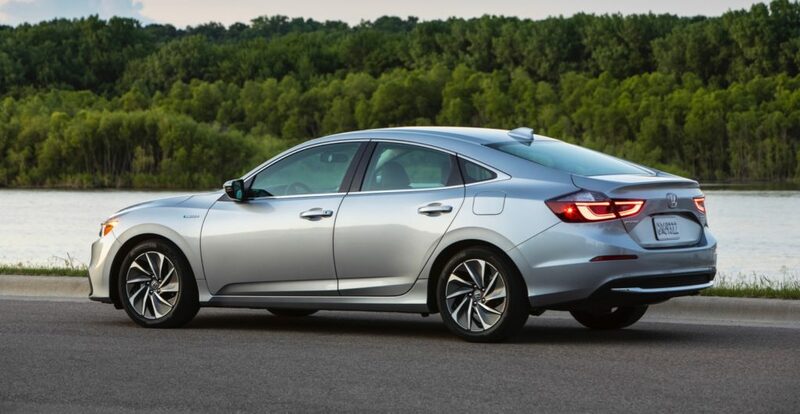 For some reason the Insight gets the same LaneWatch system as the Civic, instead of a traditional blind spot monitoring system. 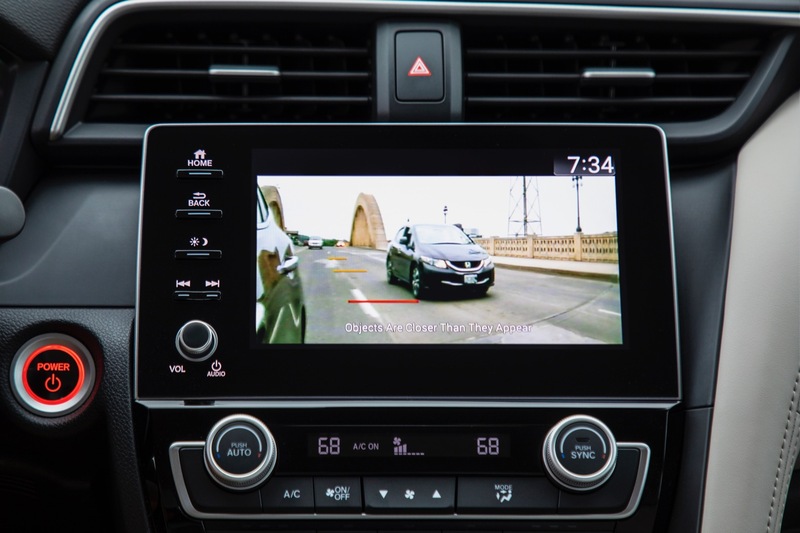 The LaneWatch system is not as simple as a blind spot monitor that will light up a warning signal in the side mirror, so instead your eyes are diverted to the center screen which displays a view of what’s on the side. It works ok in the day, but at night the glare from other car’s headlights makes it pretty useless. 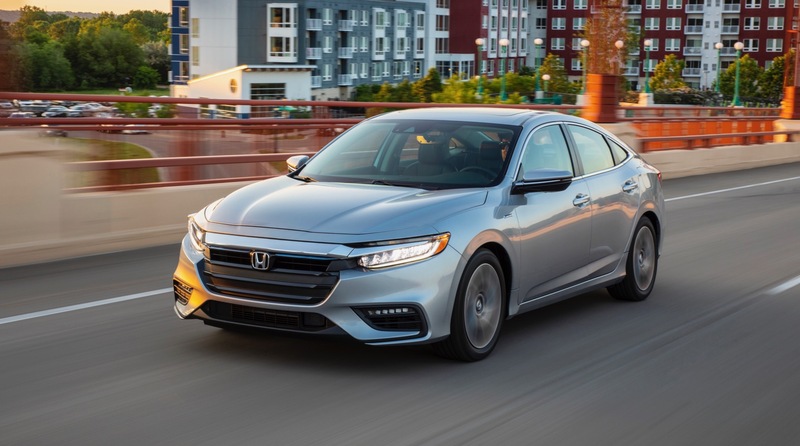 While there are still a few quirks, like the loud engine and interesting gear selector, the 2019 Honda Insight is easily the best one yet. 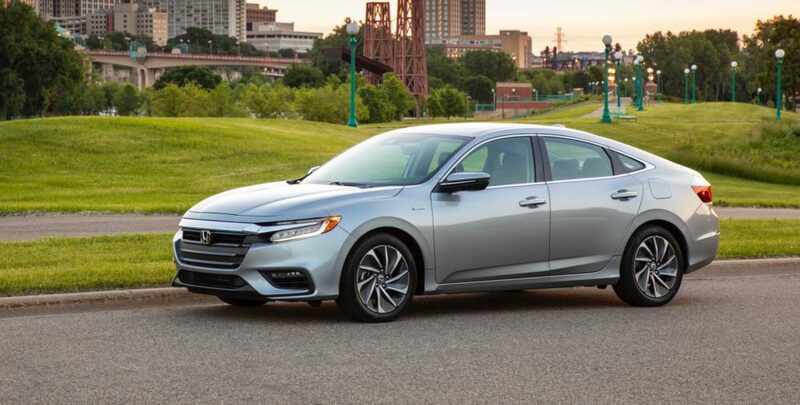 Before you had to make a compromise with space, comfort or style and now the Insight finally is a no compromise hybrid. The Insight barely squeeze past the Prius in the city 55 mpg compared to 54 mpg, but the best part is that the Insight looks and feels more like a regular car. 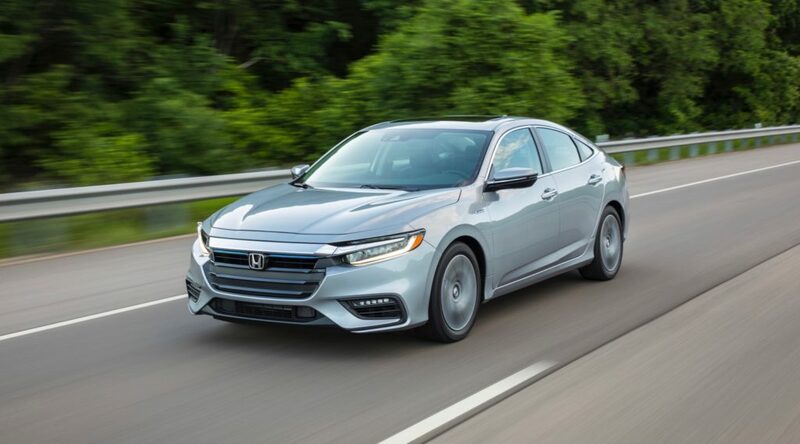 The 2019 Honda Insight is offered in three trim levels: LX, EX and Touring. The base Insight LX starts at $22,930, while the top Insight Touring starts at $28,190.